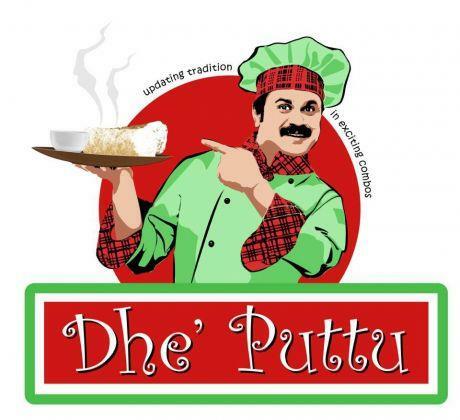 Actor Dileep's 'De Puttu' restaurant will make him to continue his business which started functioning from 13th May 2013 at Edappally highway near Oberon Mall. After entering into the field with 'Mango Tree' in Ernakulam, Dileep is offering thirty plus varieties of Puttu along with dishes like Biriyani, Dosha and Idli. 'De Puttu' is the joint venture of Dileep and Nadhirshah. Do you wish to try the sweetness of a variety of 'Puttu' from a very special restaurant? If so, get ready enjoy your time at 'De Puttu', the restaurant owned by Dileep and his friends. This restaurant which started functioning at Edappally highway near Oberon Mall from 13th May 2013, offers thirty plus varieties of Puttu to the customers. Other than 'Puttu', people can enjoy the fresh taste of dishes like Biriyani, Dosha and Idli. 'De Puttu' is the joint venture of Dileep and Nadhirshah. Dileep who is known for his famous chef roles in movies like 'Mr. Butler', 'Spanish Masala' and 'Kammath and Kammath' would add more colours to the life of people living in the city. So take a walk to the innovative Puttu eatery and enjoy the taste of Meen Puttu, Mango Puttu, Masala Puttu, Chira Puttu, Wheat Puttu, Ragi Puttu, Noolu Puttu and other typical Central Travancore delicacies. These puttu would be accompanied with a hoist of curries. Dileep already had been in the hotel business having an outlet titled 'Mango Tree' at Fort Kochi. He is also a part of the house boat tourism in Allapuzha. This would be the second venture of the actor who already has an outlet titled 'Mango Tree' at Fort Kochi. Years back, a restaurant names '2020' situated near Padma Theatre in Earnakulam was started by the actor which was later stopped due to some reasons. The inauguration of 'De Puttu' was held on 13th May which was done jointly by Dileep and Nadirshah's mothers. The function was attended by prominent personalities representing the cultural, politics and cinema field. The interior of the restaurant would attract every one as it gives the first impression of one in a village.With the eatery situated near the Lulu Hyper market and Oberon Mall, it is well prepared to welcome its guests.